The controversial process of gene-editing in the embryo has been approved in an attempt to try to genetically restrict any future instances of Katie Hopkins. “I think that everyone agrees that the process of manipulating the genes of unborn children is troubling,” said genetic specialist Dr Simon Williams. However, despite a professed unified front there is disquiet amongst the scientific community. “The goal of eradicating Katie Hopkins is entirely laudable,” said one anonymous scientist. 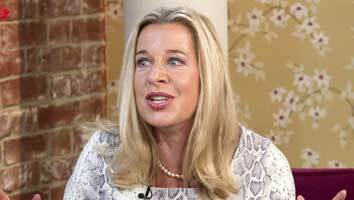 Despite the concerns, the work to identify and eradicate the Katie Hopkins gene is to begin immediately. “We suspect the Katie Hopkins gene is a mutation of the ‘wanker’ gene fused with the ‘pig-ignorant’ gene,” said Dr Williams. There are hopes that if the genetic eradication of Katie Hopkins is successful, work can begin to identify the ‘Beiber,’ ‘Trump,’ and ‘Farage’ genes at the first opportunity.